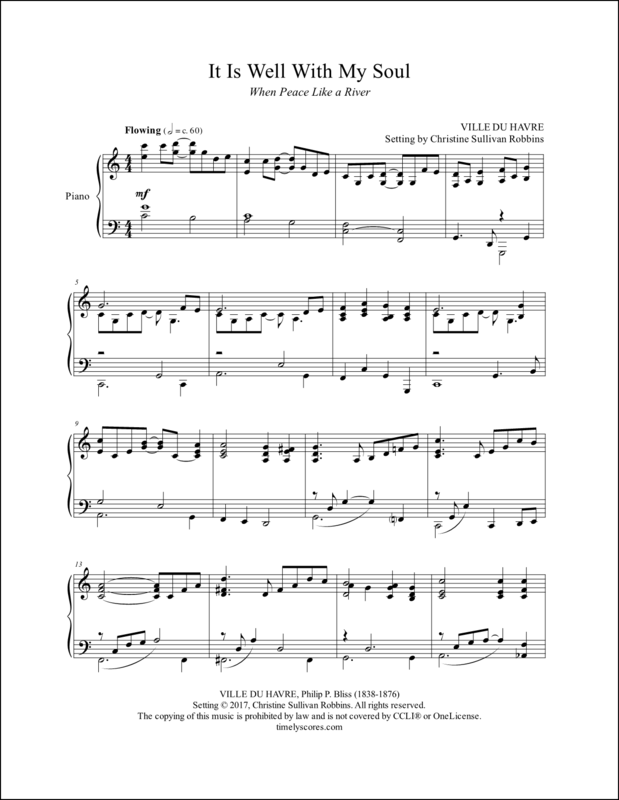 This fun, breezy, piano arrangement of the English tune Forest Green will energize listeners – and it’s great for Thanksgiving! (a.k.a. As Men of Old Their First-Fruits Brought) Learn more. 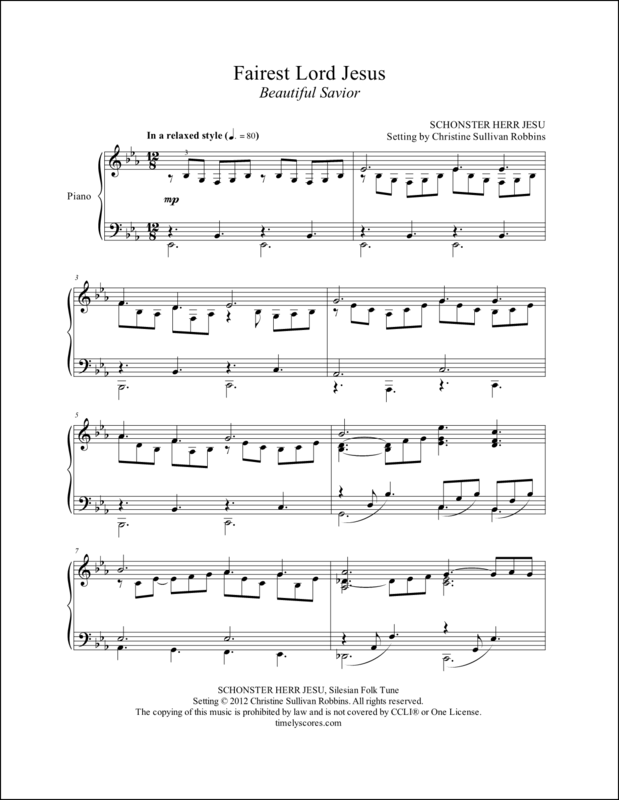 More advanced church pianists can make an impression at church services, weddings, and recitals with this striking piano arrangement of the hymn tune Schönster Herr Jesu. Learn more. 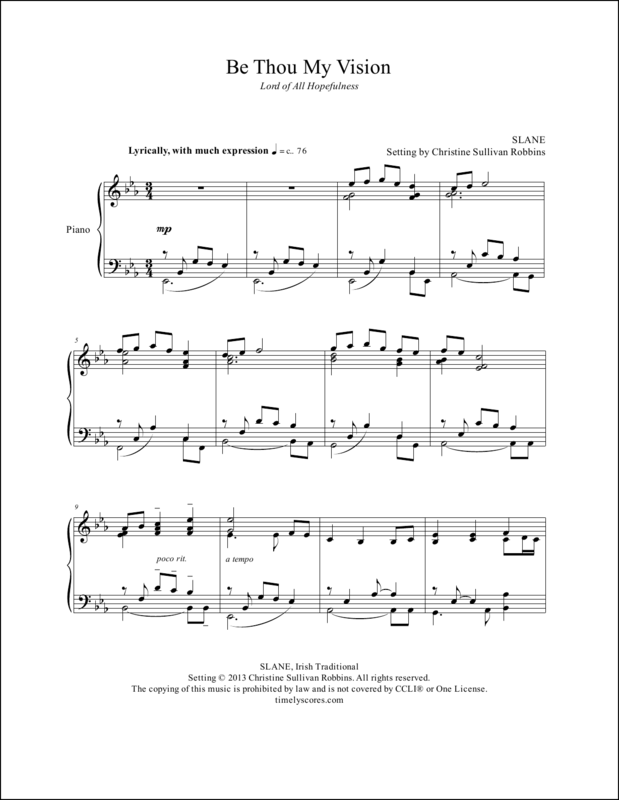 Snappy syncopation will excite listeners in this fresh piano arrangement of the hymn tune Nettleton. (a.k.a. Praise the One Who Breaks the Darkness and Sing a New Church) Learn more. 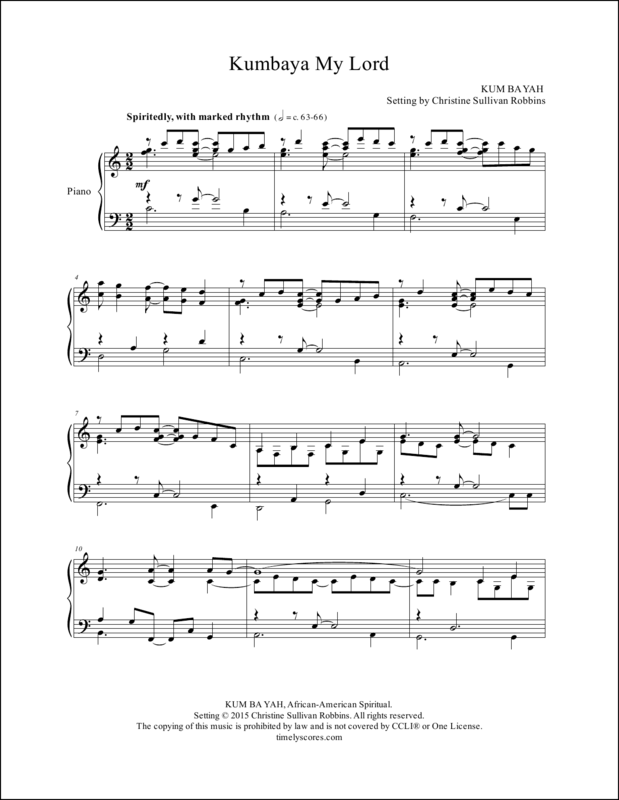 Add zest to church services and recitals with this spirited, syncopated piano medley that pairs the hymn tunes Hanover and St. Denio. Learn more. 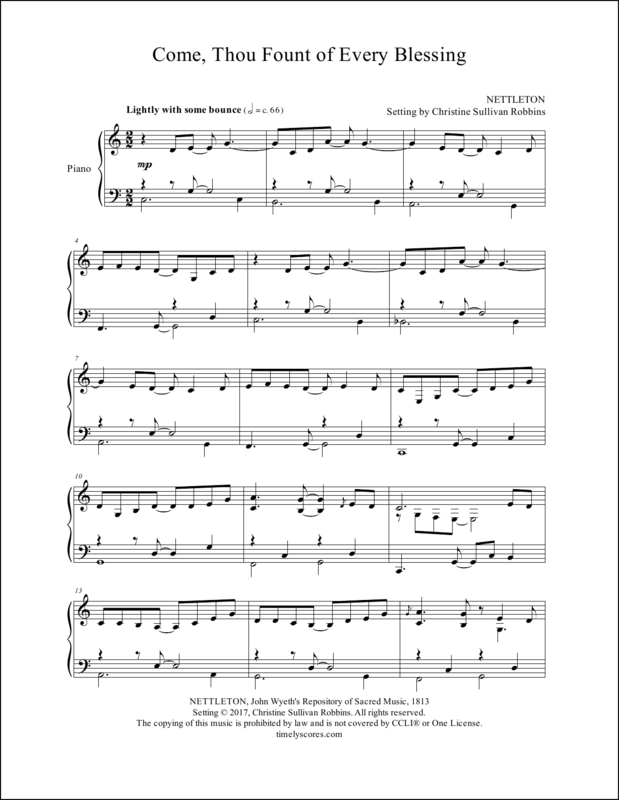 Deepen devotional times with this pastoral piano arrangement of the beloved Irish hymn tune Slane. (a.k.a. Lord of All Hopefulness) Learn more. 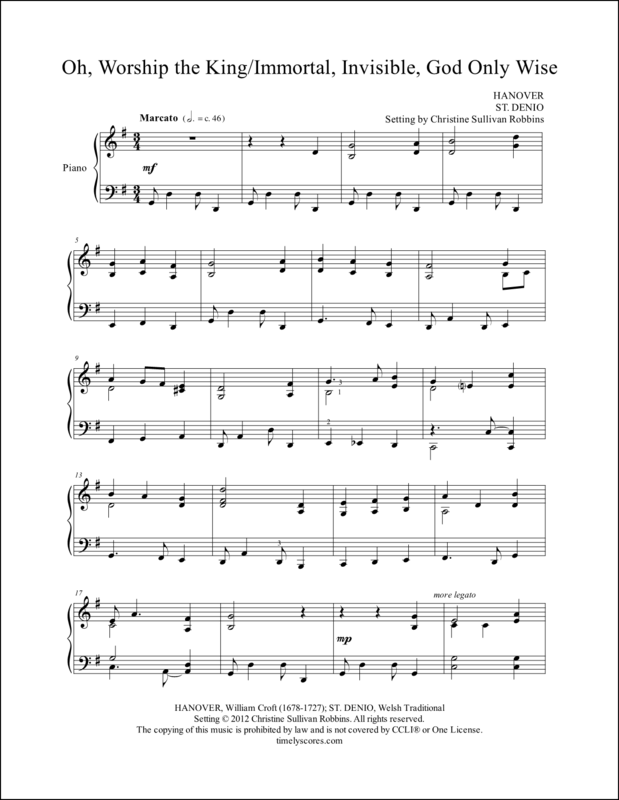 When peace like a river attendeth my way…breathe fresh hope and confident faith into church services and recitals with this breezy piano arrangement of the much-loved hymn tune Ville du Havre. Learn more. Captivate listeners with this energetic piano arrangement of the well-known African-American spiritual Kum Ba Yah. Spices up church services (think Pentecost) and makes a splash at recitals! Learn more. 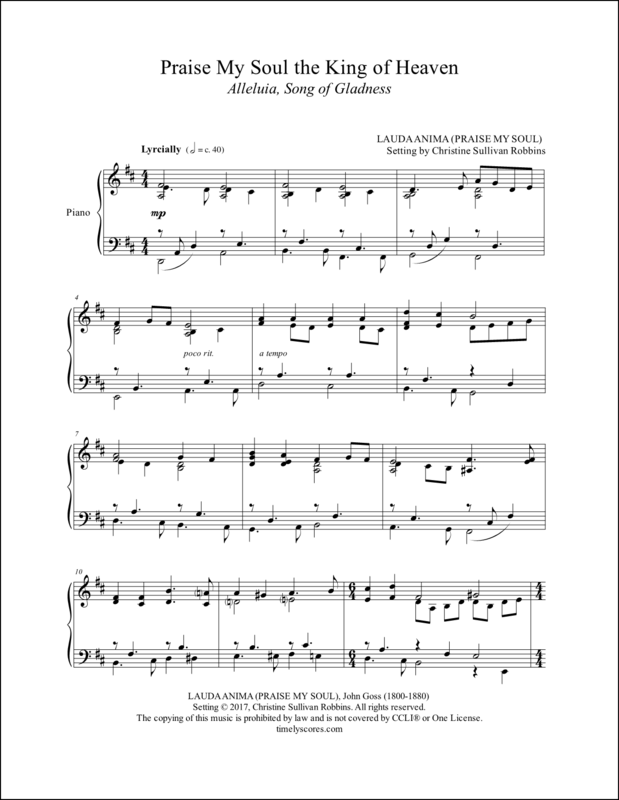 Progressively ascending key signatures raise listeners heavenward in this piano arrangement of hymn tune Lauda Anima. Perfect for weddings or the last Sunday before Lent – Transfiguration Sunday. (a.k.a. 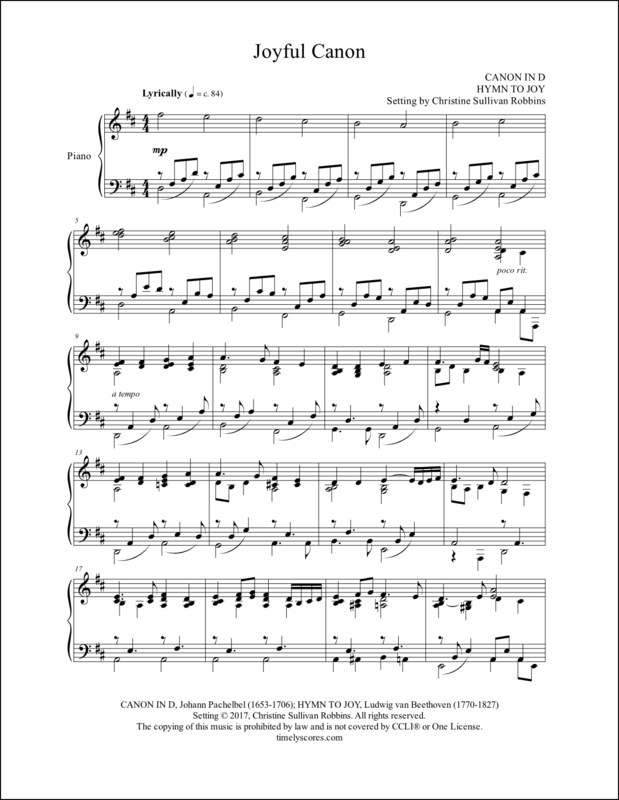 Alleluia, Song of Gladness) Learn more. 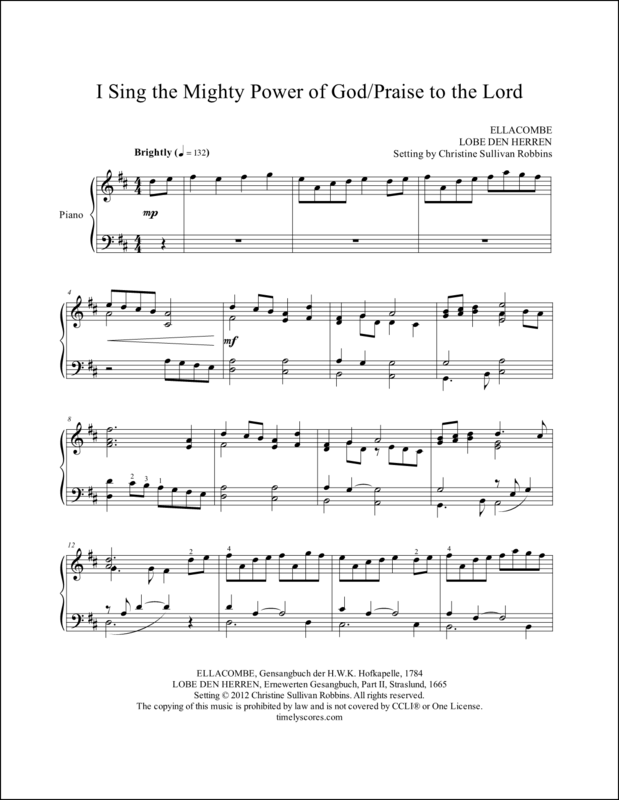 Hosanna, loud hosanna, the little children sang…energize listeners with this jubilant piano medley featuring the hymn tunes Ellacombe and Lobe den Herren. Perfect for Palm Sunday and Easter! Learn more. 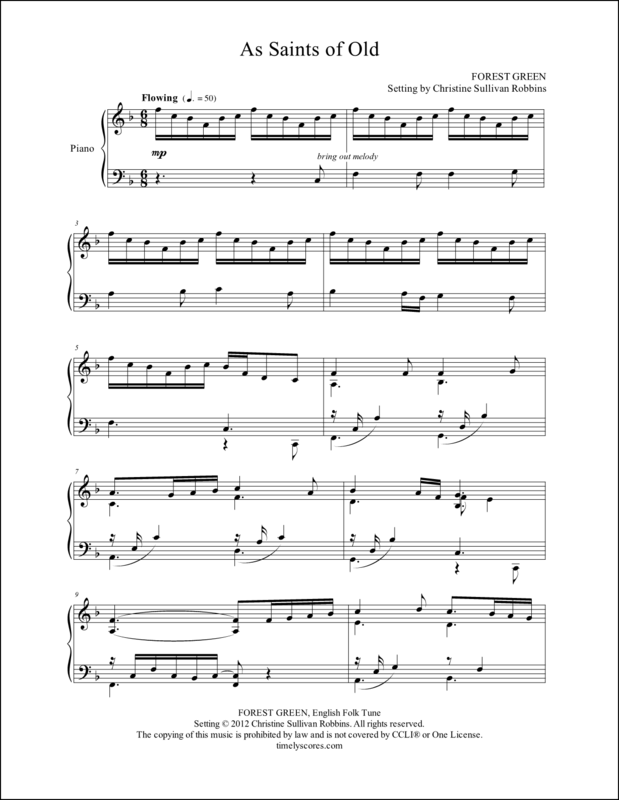 Listeners love hearing the fresh and familiar in this piano medley and pianists love its flexibility. Classic, elegant, and festive, it’s ideal for weddings and holidays! Learn more.